Packed with character this Grade II listed building provides spectacular views and is in the heart of Bournemouth, on Albert Road. Perfect for creative and tech companies the workspace is spread over 20,000 sq. ft. of private offices, co-working space, breakout areas and meeting rooms. Bournemouth town centre has great places to eat and drink, as well as a range of shops and various hotels on offer. 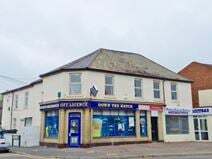 The office space in located within the Sovereign Shopping Centre in the heart of Boscombe and can accommodate up to 12 desks with any potential tenant having access to their own private bathrooms and toilets on an upper floor. Offered on a flexible rolling monthly terms and with WiFi access included, thisspace is available to be occupied immediately. The Centre has great transport links with bus services from Poole, Bournemouth and Christchurch, 625 space multi story car park and Boscombe train station is a 15 walk away. The centre of Bournemouth is a fine location to have an office, with its many attractions including a plethora of bars, restaurants and cafes, as well as shopping centres and luxury hotels. On-site, this centre offers 24-hour access, modern boardrooms, meeting room availability, complimentary fitness classes, a garden terrace area, a staffed reception area, daily office cleaning and a security system. Located just a short walk from the beach and a 15-minute walk from Bournemouth Train Station with it's great transport links across the country, this impressive business centre provides office space suitable for one to 20 people on a minimum six-month contract. 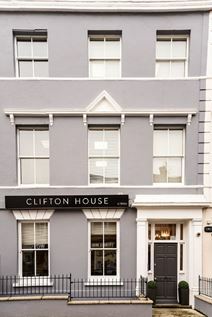 Meeting rooms, a boardroom and a fantastic roof terrace are all available on-site, while there is also a manned reception to greet your clients. 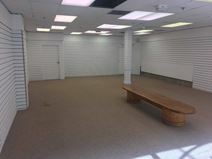 Set in a popular and easily accessible part of town, this modern space would make a great office or retail unit. This site is well served by trains and buses, and the local area is home to a variety of shops, restaurants and cafes. Providing excellent commuter access this landmark office building is located around 100m from the A338 Wessex Way and offers a choice of 18 versatile office units from £200 per month. 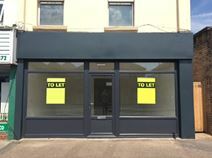 In the heart of Holdenhurst Road this newly refurbished shop / office is available to let and is spread over 500 sq. ft. with large, front windows for display and advertising. Approximately 100m from the A338 Wessex Way, providing excellent links to the A31, M27 motorway networks. 24-hour access is available, as well as kitchen facilities and the open plan office look allows for light to spread through the space. Some of the modern offices (from 700 to 2,300 sq. ft.)at this centre in the heart of Bournemouth benefit from their very own sun terraces while all of them have access to the communal roof garden. All tenants are within walking distance of both the beach and the square. This great office space is located in the heart of Bournemouth's vibrant atmosphere. There are private offices available and also co-working spaces, both permanent and hot desks. There are also six meeting rooms which tenants can use and high-speed Wi-Fi. Tenants can also benefit from 24 hour access to facilities and close proximity to local amenities. Bournemouth Train Station is located a five minute walk from the office space. This Grade II listed building is conveniently located in the town centre with good transport links. The centre provides unfurnished offices over four separate floors that were refurbished in 2005. With flexible office space ranging from 600 to 1,500 sq. ft. and located just behind the town hall in the heart of Bournemouth this centre also provides two shower rooms and communal kitchens, while the offices are offered on a semi-serviced basis. The main railway station has connections to London, Manchester and Birmingham, and Bournemouth has various places to enjoy something to eat and drink around the town centre.